I want to remind the readers that Katie was very healthy at the time that CPS took her and was not at any risk of dying. Advocates of state intervention on medical grounds feel they are justified when cancer is involved because it is a life threatening disease. While this is true in the long-term, it doesn't meet the test of immanency - risk of dying immediately without treatment. I want to remind the readers that and I quote " five doctors recommended that Katie needed to undergo Radiation Therapy" including a doctor at M.D. Anderson ( said during the court hearing). That was the whole point of the medical neglect hearing. So why is Katie now being given 4 rounds of chemotherapy? Were these other 5 doctors wrong? Are the last doctors in error? Where are the experts in Hodgkin's Disease promised? Seems like the doctors can't agree and meanwhile Katie is undergoing chemotherapy that she may or may not need. And this chemotherapy will completely sterilize Katie so she can't have any kids and has a high risk of kidney toxicity and can damage the heart muscle. It even goes to the brain and destroys memory as she didn't even remember an aunt being at the first chemo just one day before and other events. Yet, we as parents have absolutely no say in the treatments our daughter will receive. And all these people can act with absolute immunity from prosecution and law suit. Michele will be with Katie in the hospital from Monday to Sunday of this week. I (Edward) can't be there because Stella Klein, CPS worker, has not approved me to stay overnight with Katie in the hospital. I have given them no reason not to. Visitation is at CPS discretion. This has caused much emotional distress on both Katie and myself (Edward). 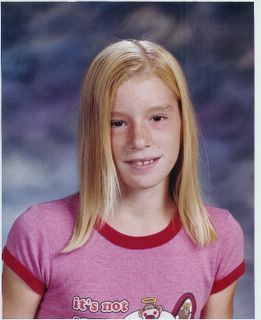 Katie's brothers have not seen her since June 19th, 2005. This has been very stressful especially on the two younger boys. Katie was very close to them too. They have been very insecure since CPS pulled them out of our home and out of Michele's arms. Now Michele has to be gone one week out of every three to help Katie because CPS is keeping her so far from home (250 miles). I hear it in their crys and sleep talk at night. I hope CPS and the court sees the hurt and emotional distress they have caused our family. We were more than capable of making the medical decisions for Katie given the right information without state interference. Parents should always have that right to make the medical decisions for their children unless they are proven to be totally unfit in a proper court or abandon the child. The state has clearly overstepped its power and violated our constitutional rights.